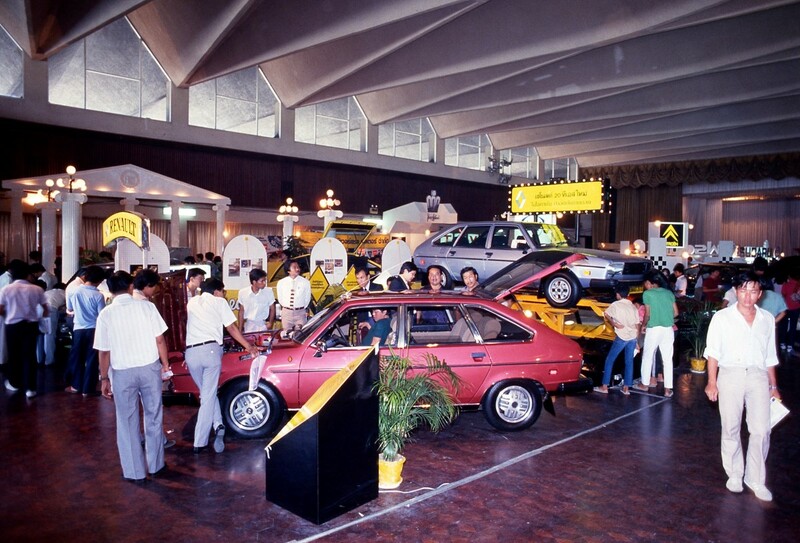 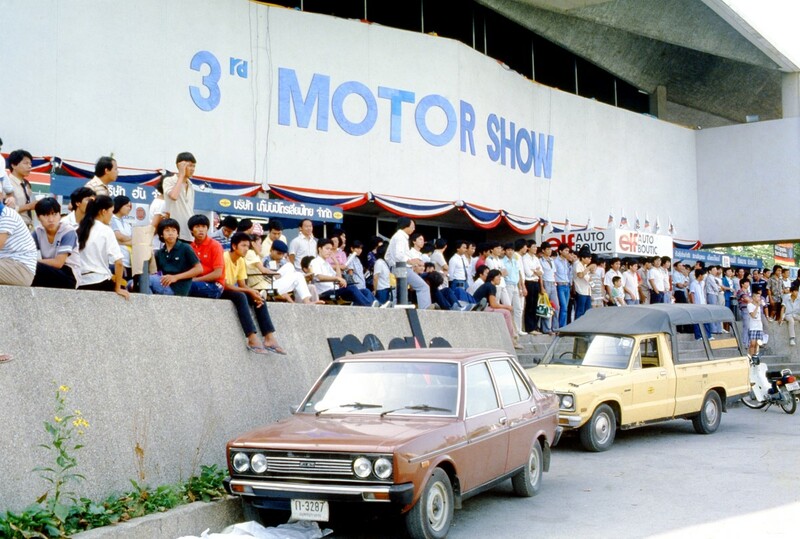 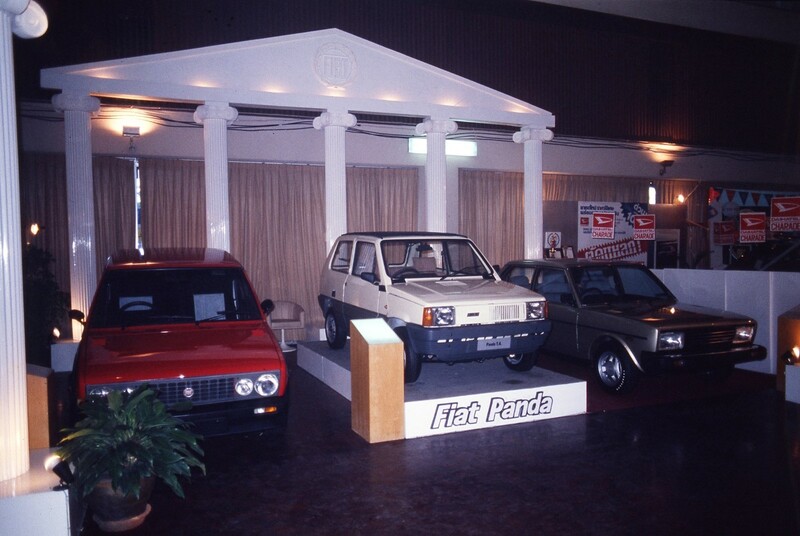 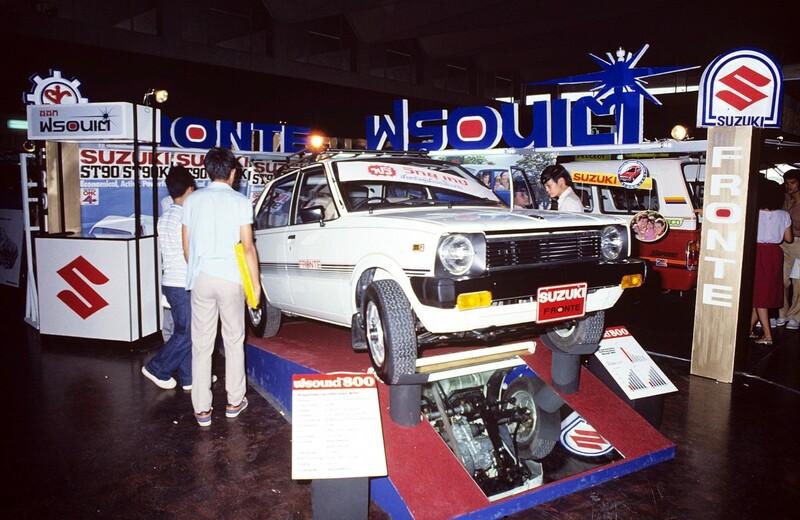 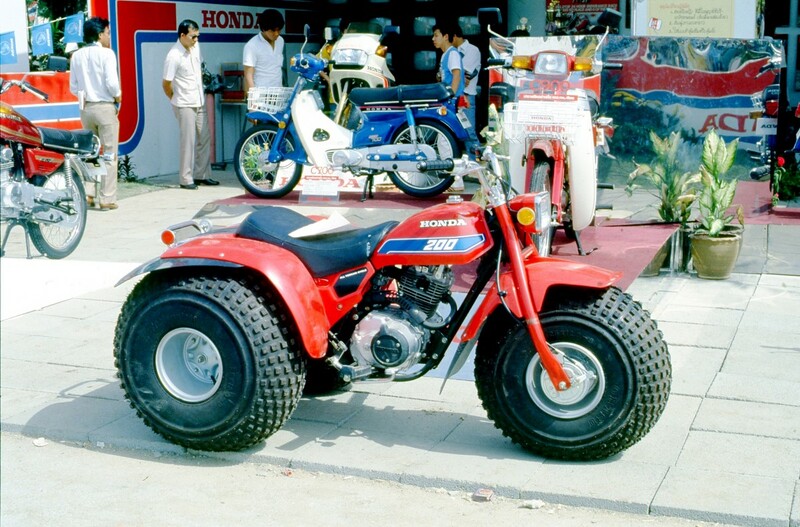 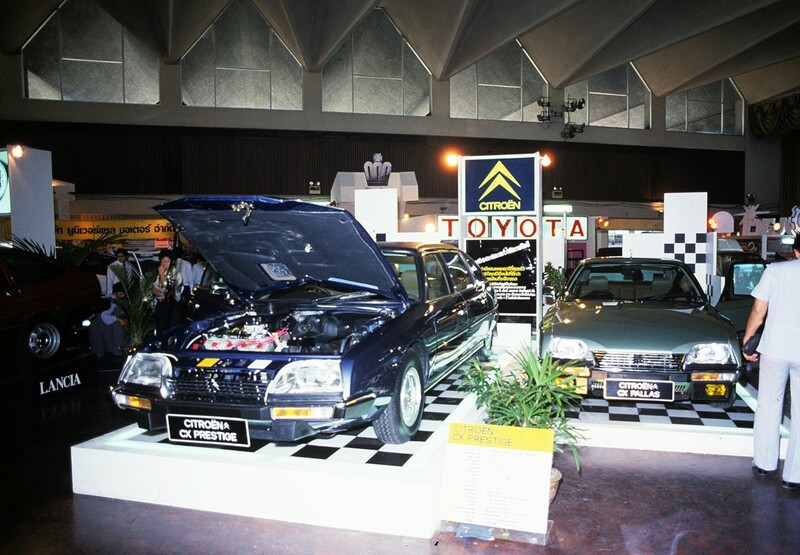 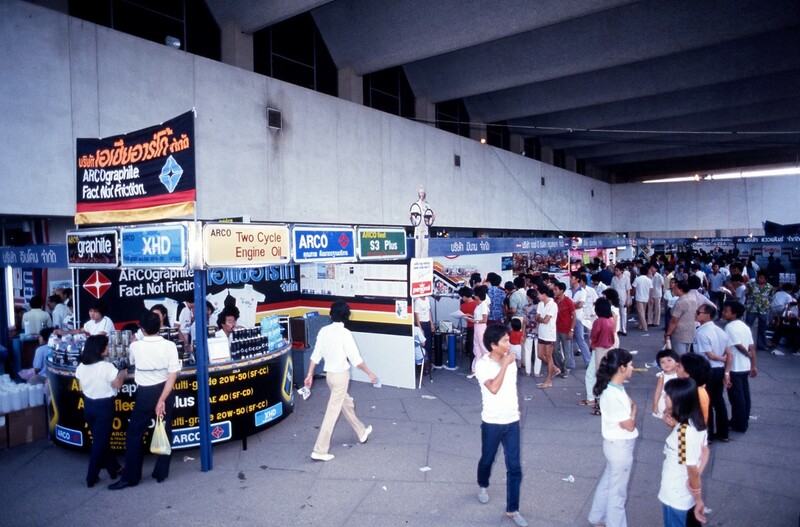 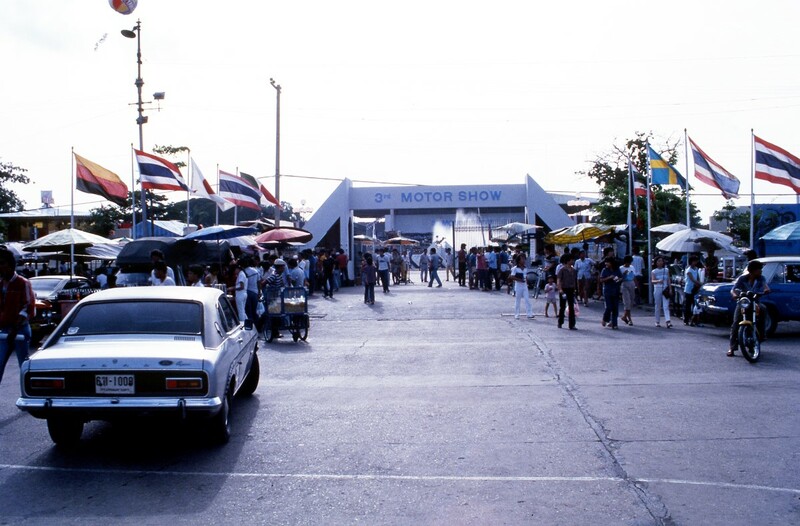 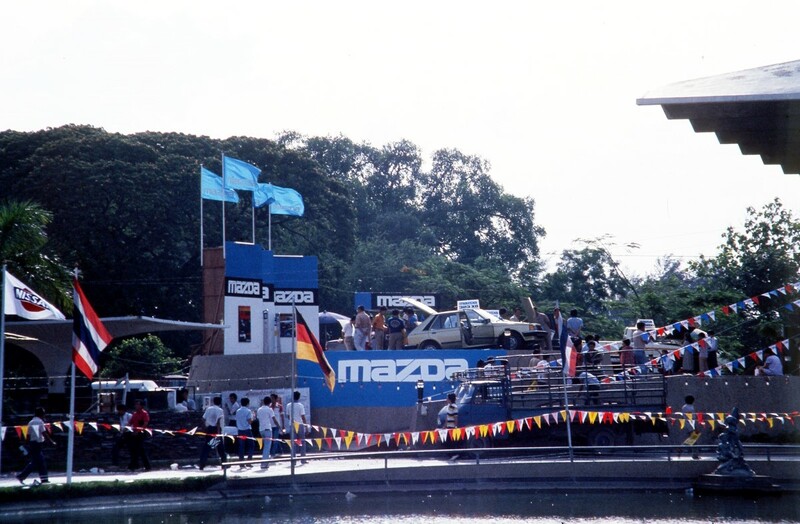 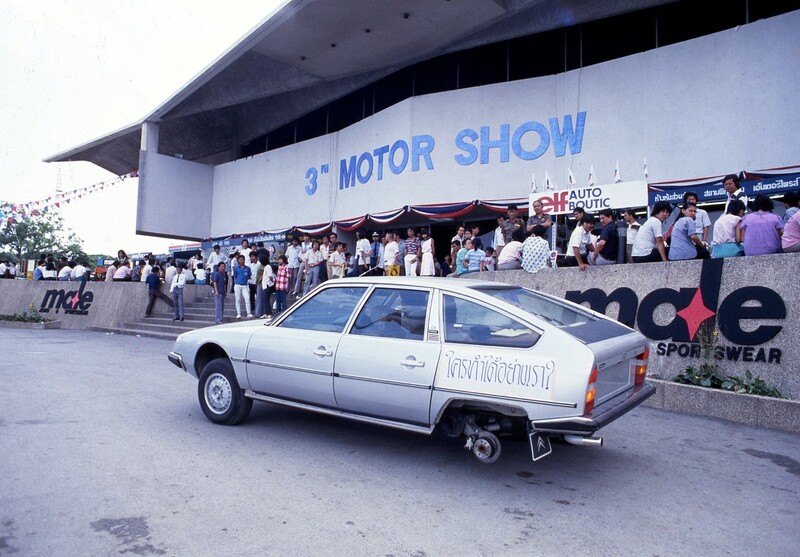 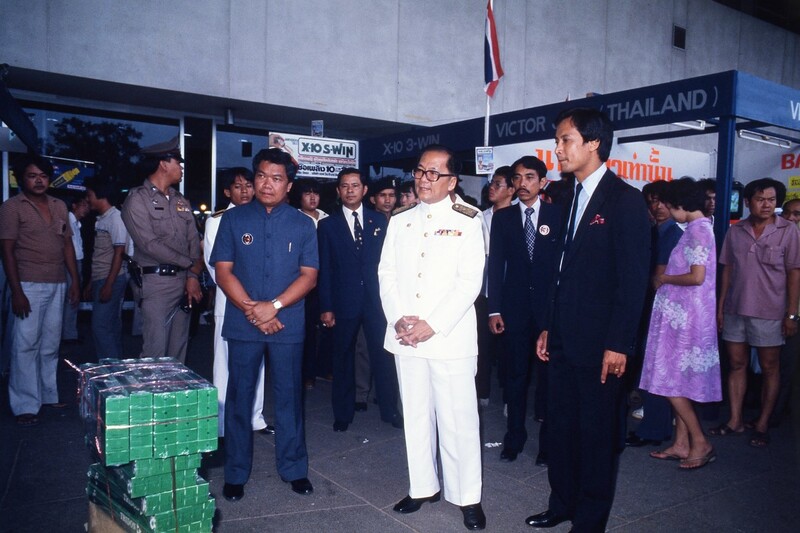 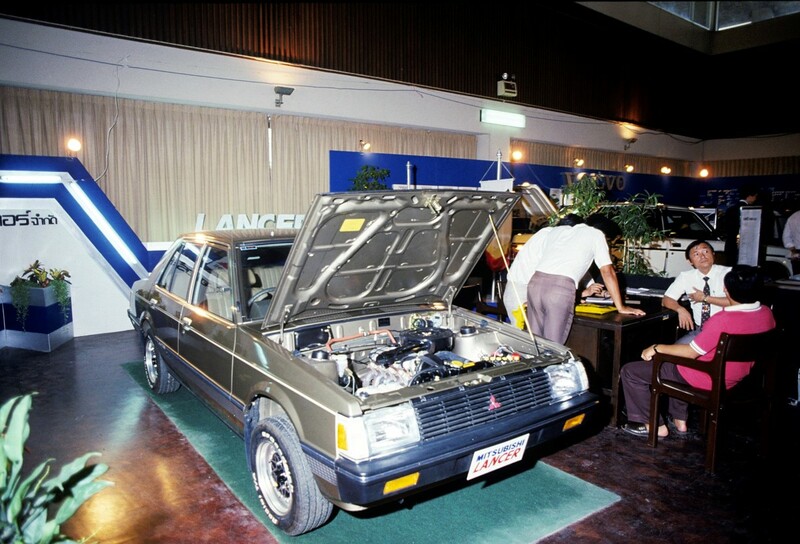 Held during 3 – 7 May 1982, the third Motor Show changed its event date from the end of the year to the middle of the year. 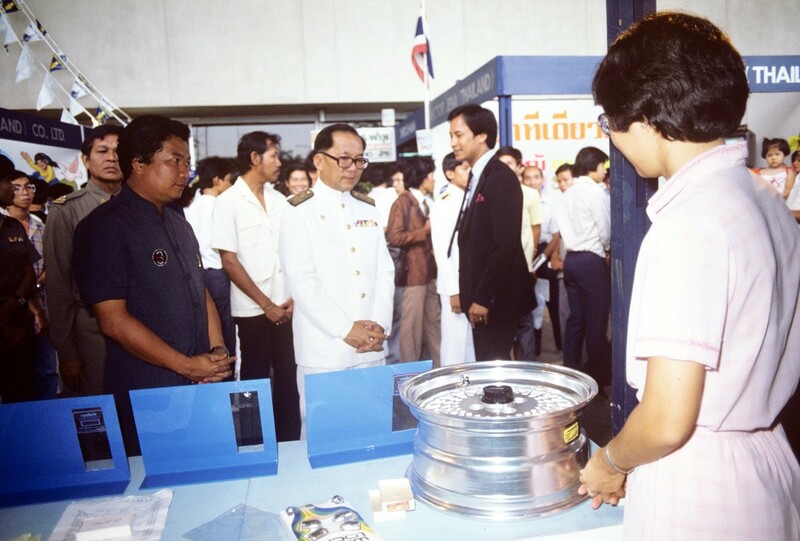 Grand Prix International was honored by Mr. Thanin Kraivichien, the Privil Council, as the representative of HRH Prince Maha Vajiralongkorn, who came to the opening ceremony. 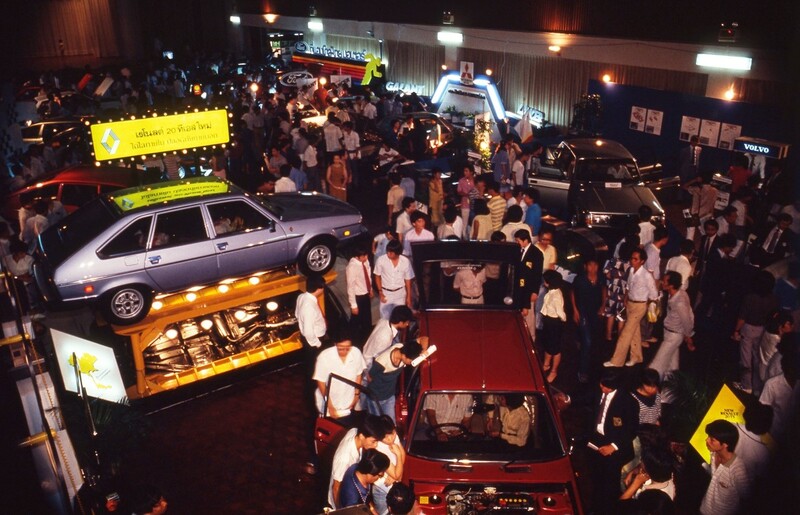 This year’s event was packed with the latest automotive technologies from various car maker companies. 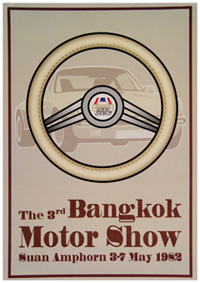 The highlight was the exclusive display of the Royal Vehicle of HRH Prince Maha Vajiralongkorn: the latest import model of Rolls Royce. 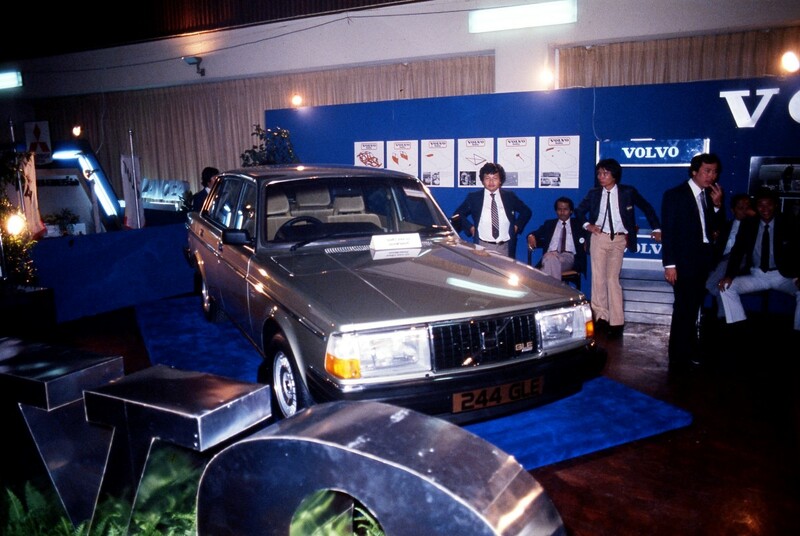 Another unique show was from Volvo, they brought the ruins from a badly crashed Volvo as it fell into a 60-meter-deep abyss yet the driver survived! 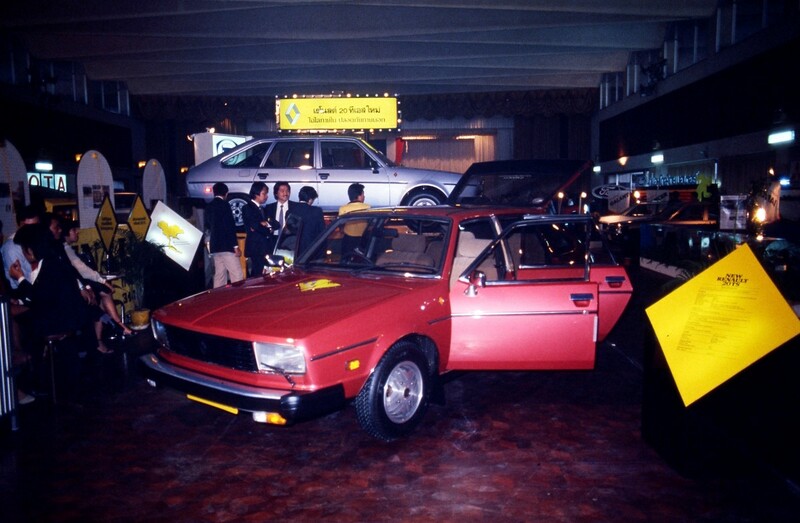 Volvo aimed to show the strength and safety which are the strong points of their cars. 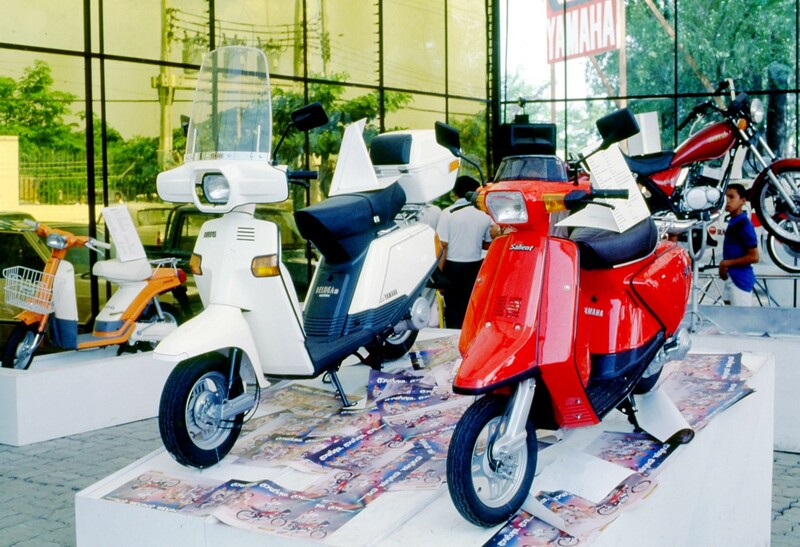 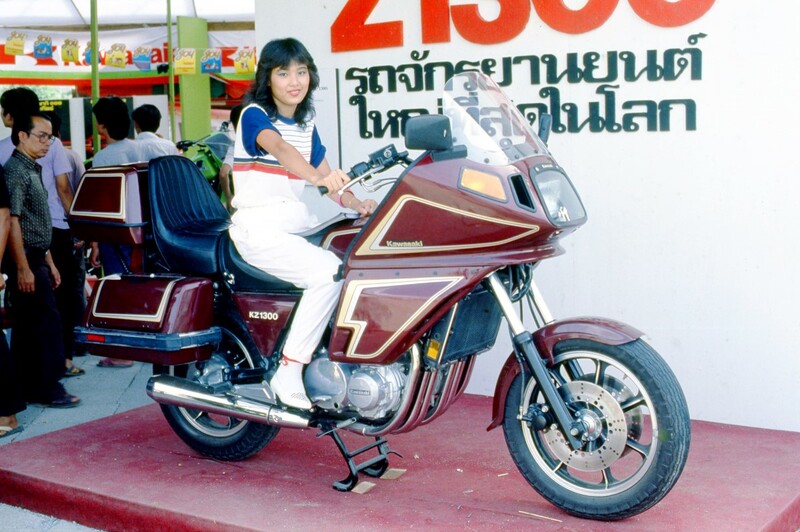 In the Motorcycle zone, with the generosity of Thai famous director “Chalong Pukdeewichit”, visitors have the chance to behold locally manufactured motorcycles. 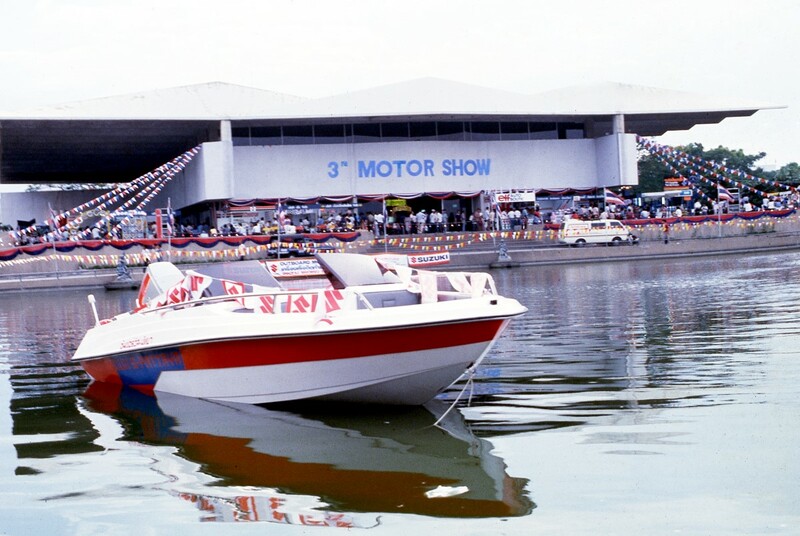 Next to the lakeshore, we have the stunning shows of Speed Boat, Racing boats and scooters sent from Pattaya sponsored by Suzuki.